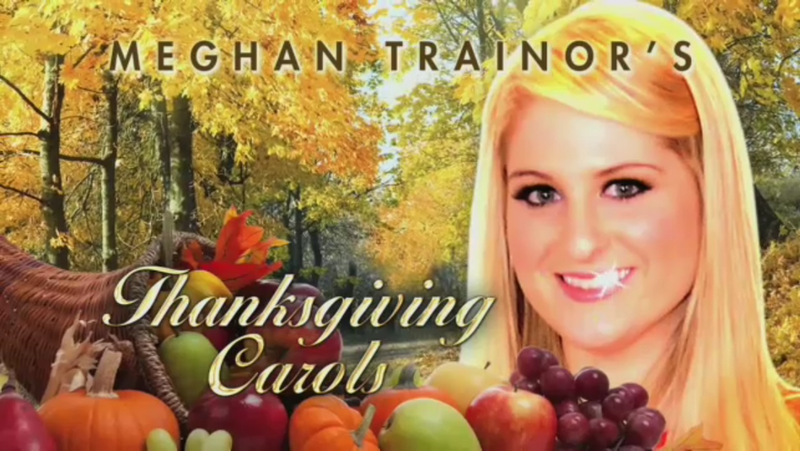 Meghan Trainor Does Spoof ‘Thanksgiving Carols’ For ‘Jimmy Kimmel Live’! There are literally hundreds of thousands of songs out there for the holiday season. But how many of you ever heard possible music that surrounds the holiday of Thanksgiving? According to Jimmy Kimmel, the “closest song we have for Thanksgiving is the Golden Girls theme song”. But not anymore! “All About That Bass” singer Meghan Trainor‘s changing all that! Check out a spoof of Meghan Trainor singing verses from her Thanksgiving “album” during an episode of Jimmy Kimmel Live right HERE! One Direction Talks About Fans & Takes Cutest Selfie Ever On ‘Jimmy Kimmel Live’ – Watch Now! The guys of One Direction – Zayn, Louis, Niall, Harry and Liam – stopped by Jimmy Kimmel Live! on Thursday night (November 20) where they guys chatted about their fans and some of the weirdest gifts they received. They also talked about Johnny Depp and the Royal Family. However, not only did One Direction chat about themselves with Jimmy but they also took the cutest selfie ever! With feathers, stuffed animals, real kittens, a puppy, a unicorn pony, a baby, Jimmy’s nephew that looks just like Harry and other props all put together with One Direction definitely made for the cutest selfie. Be sure to check out what the guys of One Direction had to say during their appearance on Jimmy Kimmel Live and check out all the things it took to make the epic selfie by watching the videos below! Taylor Swift Rocks ‘Jimmy Kimmel Live’ In Hollywood! – Pics & Vids Here! Taylor Swift shut down Hollywood Blvd. in Hollywood, California on the night of October 23rd. Taylor performed to a huge and excited crowd. Her set included some of her hits as well as new songs off of her upcoming album ‘1989,’ including “Out Of The Woods” and “Shake It Off.” Taylor was also interviewed by Jimmy Kimmel about touring, her new music and more! Selena Gomez Visits Jimmy Kimmel Live In Hollywood – Pics & Video Here! Selena Gomez visited Jimmy Kimmel Live on October 15th. She arrived looking stunning in a black dress and heels and took time to wave to her exciting fans that were waiting to see her. Selena was interviewed by host Jimmy Kimmel about her first house, crushes, selfies and more! If you missed her appearance last night live, never fear, you can check out Selena’s fun interview below! You can also view the lovely photos from her arrival! 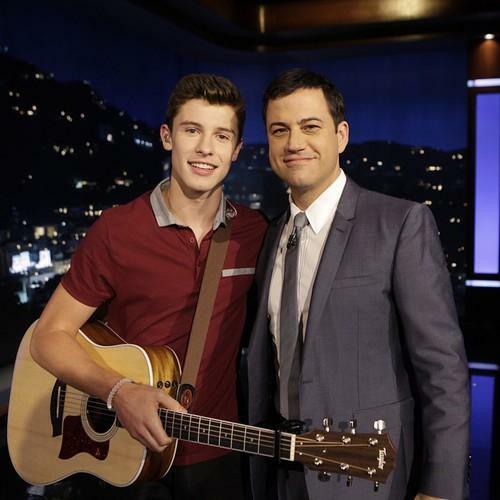 Laugh & Sing Along With More Videos Of Shawn Mendes On ‘Jimmy Kimmel Live’! Can’t get enough of Shawn Mendes? Well neither can we! Recentl,y we brought you a video of Shawn’s performance of “Life Of The Party” from last night’s Jimmy Kimmel Live. Well never fear, we also have his hilarious “Vineyl” segment and his fantastic performance of “Show You” below! 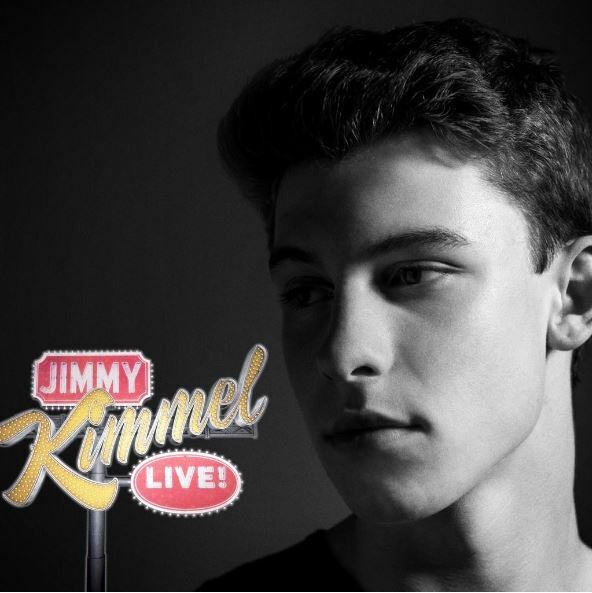 Shawn Mendes Performing On ‘Jimmy Kimmy Live!’ Tomorrow Night! It may be a little late, but be sure to stay up tomorrow night to catch Shawn performing on the show at 11:35 PM PST! Ed Sheeran Transforms Into Little Orphan Annie – Video Here!! Ed Sheeran is know across the globe for his amazing singing and songwriting, but now Ed has decided to tackle something a little different for laughs! 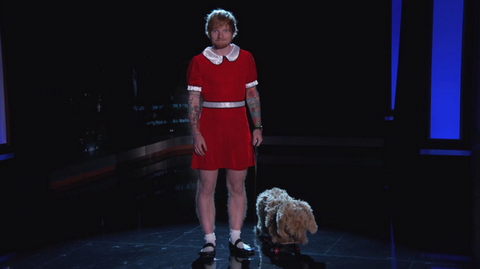 Ed channeled his inner Little Orphan “Annie” on a recent episode of Jimmy Kimmel Live! Check out Ed’s new attire below! Do you think he has what it takes to be in the next “Annie” musical remake? Haha! Leave us your thoughts below! 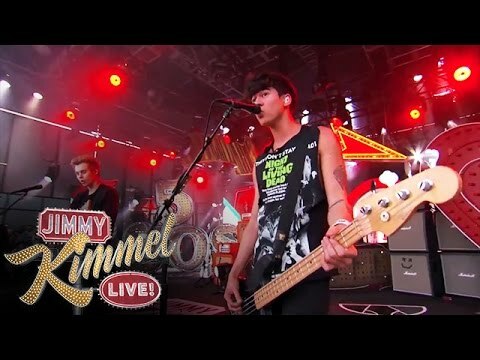 5 Seconds of Summer Performs A Mini-Concert On ‘Jimmy Kimmel Live’ – Watch Here! In case you haven’t seen it yet, check out 5SOS performing by watching the videos below and let us know what you think by commenting! 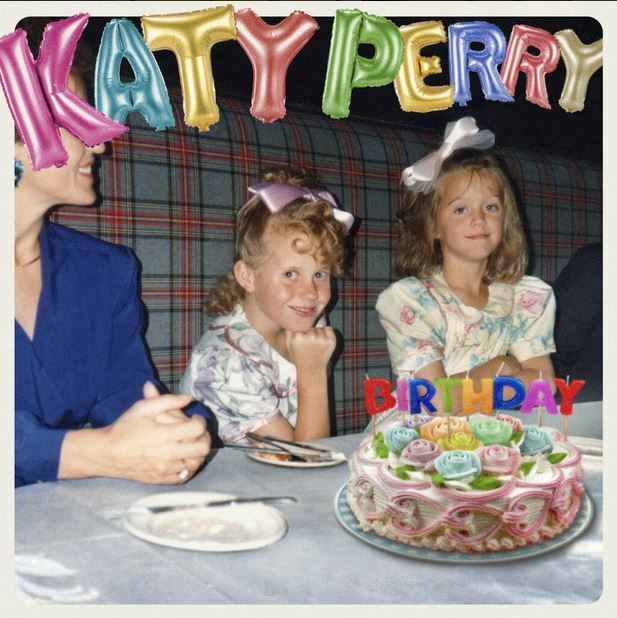 Katy Perry Shares The World’s Worst “Birthday” Party Entertainers Featured In Upcoming Music Video! Meet all of her “friends” (who are actually Katy) by watching the video and let us know what you think by commenting!